Mercaptoundecanoic acid capped-Ag nanoparticles (MUA-AgNPs) assembled on graphene oxide (GO), namely MUA-AgNPs-GO nanocomposite, was used for enhancing current–voltage (I–V) activity and stability of n-lnP based heterojunction devices. The structural, morphological and optical properties of the MUA-AgNPs-GO nanocomposite were examined by Raman spectroscopy, UV–Vis spectroscopy, transmission electron microscopy and scanning electron microscopy measurements. 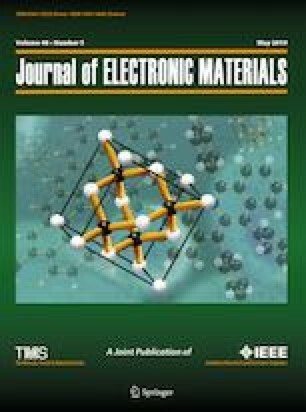 Besides, the Ag/MUA-AgNPs-GO/n-InP/Au-Ge heterojunction was fabricated, and working performance of the heterojunction was investigated in the temperature range of 80–320 K by steps of 20 K. The heterojunction created by the MUA-AgNPs-GO nanocomposite showed improved working performance such as better I–V characteristics, great stability and better rectifying ratio than that of our reference junction. The ideality factor and barrier height values of the junction formed with MUA-AgNPs-GO layer were found to be 1.07 eV and 0.630 eV, respectively. The experimental value of the Richardson constant was determined to be 3.82 A/cm2 K2 in the 80–160 K temperature range and to be 6.55 A/cm2 K2 in the 160–320 K temperature range. The results showed that the MUA-AgNPs-GO nanocomposite is a favorable candidate to provide modification of barrier height and to improve characteristic parameters for applications of the heterojunction devices.